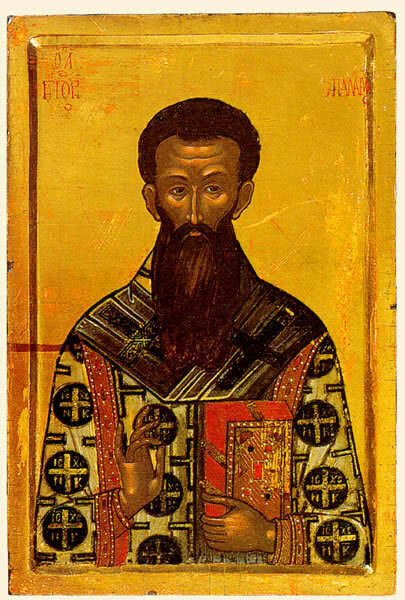 (included was the Sunday of St Gregory Palamas on March 11, 2012). The University Ecclesiastical Academy of Thessaloniki in association with the Patriarchal Institute of Patristic Studies in Thessalonica (at the Holy Monastery of Vlatadon), the Institute for Orthodox Christian Studies (Cambridge, UK), the Holy Metropolis of Thessaloniki, the Friends of Mount Athos (UK-USA), other Orthodox Christian Institutions and Hellenic Republic organisations organised the International Conference on St Gregory Palamas that took place in Thessaloniki from the 7th till the 15th of March 2012. The Conference had as a focus the important contributions of St Gregory Palamas in the theological and philosophical debates from the 14th century till 2012. You can see the latest information about the Programme, List of Speakers and the titles of their presentations (with abstracts) by clicking here . The Conference participants visited Monasteries related to St Gregory Palamas in Thessaloniki, Veroia and the Holy Mount Athos (with an alternative programme for women). There was a simultaneous translation of all Sessions in English and Greek.